It’s simple; DIY (Do It Yourself) or using a mate is risky! You RISK not being eligible to return faulty parts. They say “God helps those who help themselves”. Well that might be so, but the Technical Regulator has a very different view! And he’s armed with on the spot fines as a means to convince you, a rethink might be in order. Having said that, we also frown on DIY. But for very different reasons. Fault finding is about variables! The less variables, the less time it takes to find the fault! So if the oven doesn’t heat, experience tells us where to look. But if the oven doesn’t heat and Uncle Arthur had a go at fixing it; well low and behold the variables potentially just shot through the roof. An oven can’t change its wiring! Put the control in upside down or cause a variety of other mechanical problems. We don’t charge for fault finding in our fixed price offerings because most of the time the problem is pretty obvious to us. Why? That’s simple; it’s what we do all day. What we don’t plan on is the Uncle Arthur factor! He doesn’t factor into our pristine linear logic! So, if Uncle Arthur has say tried to replace his electric oven element(s); please save us both the awkwardness and call another repairer – one that charges by the hour preferably. If we get there and find the wiring has be altered or other evidence of DIY efforts, our fixed price offers are void! Charges for time will be made. We also have an obligation to report interference to the electrical system to the Technical Regulator. Because the regulations require it. Because your insurance won’t cover you if damages or loss are incurred as a result of work done that is not legal. 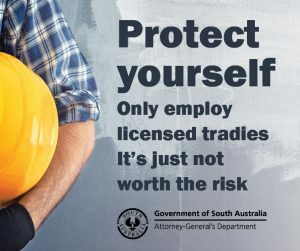 Because the people doing unlicensed work don’t care about doing things properly. The simple answer is you don’t. Your best insurance against doggy tradespeople is make sure you get an ECC (electrical certificate of compliance) by law a registered electrician must supply such a form. Not sure what the ECC looks like, click here. If you didn’t receive one, then you should chase the repairer up and get one. If you still can’t get one then click here.